How do I start a food truck? 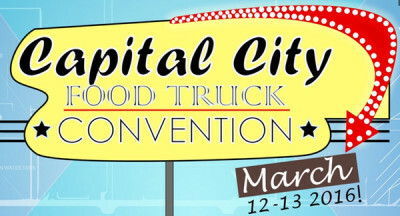 The Capital City Food Truck Convention is a two day mobile vending conference for food truck operators, suppliers and public health officials that will be held on March 12th and 13th of 2016. (For more info click here: http://www.dmvfta.org/convention/) . The most asked question on the comment section of this site is, “How do I start a food truck?” The answer: “Educate yourself.” The Capital City Food Truck Convention curriculum covers everything that the aspiring mobile vendor needs as well as connecting suppliers with the new industry. The convention is organized, attended and supported by food truck operators and Food Truck Associations. Many of the other conventions are not organized by an actual food truck association or even a food truck operator. The two day conference utilizes speakers and panels from industry professionals to educate and inform the mobile vending industry. Because the curriculum is curated by actual food truck operators and associations, the information is the most relevant to new and current food truck operators. All of the sessions have a Q & A component and attendees are encouraged to participate in the discussion.